Here, Ying Pang 02 is another page of Ying's handmade cards. After viewing her cards, I'm sure you are glad to see more pf her creative endeavours. A Oriental friendship bookmark using a Oriental word stamp for friends and flower head for background, gold ink and layering technique. Ying used another rubber stamp image for this lovely homemade card. She also used a polka dots background stamp to create the background paper. 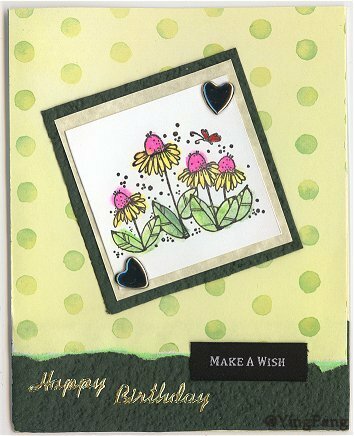 Torn paper, layered cards, hearts, flowers and polka dots ... make up this pretty Make a Wish Birthday card. Here Ying used designer paper, stickers, alphabet stamps for the word 'MOMMY', and layering technique to create this Happy Mothers Day Card. 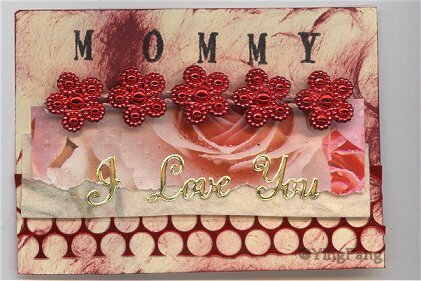 She also decorated her own card stock to make the background for this beautiful card for mom. A simple red and green Christmas card using wrapping paper cutout, corner stickers and layering technique. 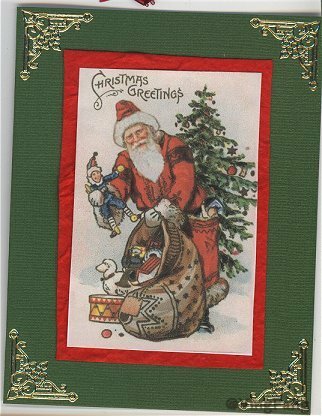 Love this traditional Christmas card of red and green theme. 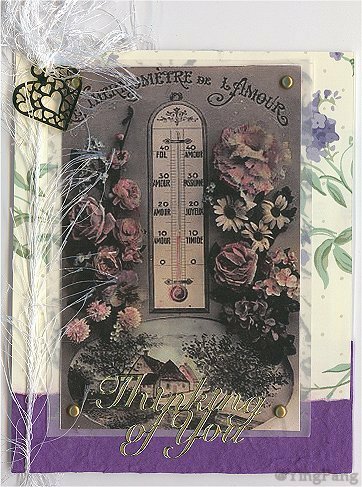 A "Thinking Of You" handmade card by Ying Pang using word stickers, flowers, ribbon, designer paper, eyelets and heart charm. And is that a thermometer print?